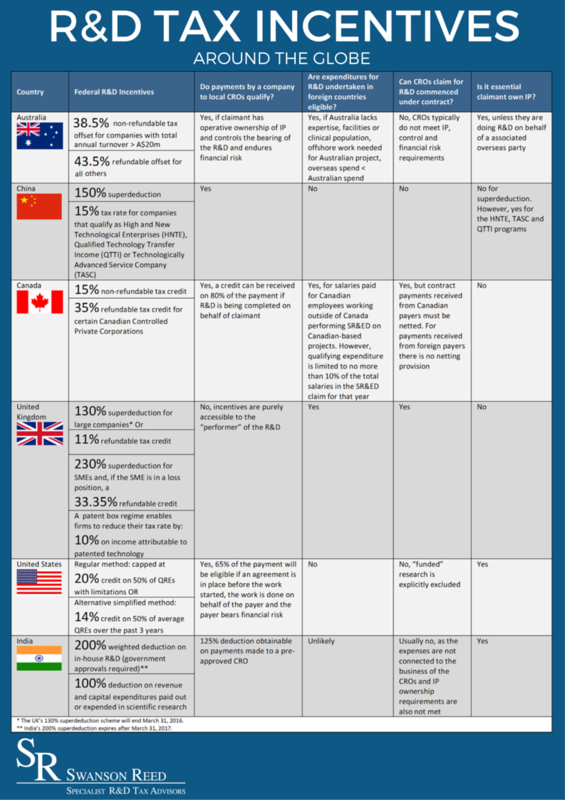 Home » News » How Does Australia’s R&D Tax Incentive Compare to the Rest of the World? How Does Australia’s R&D Tax Incentive Compare to the Rest of the World? Internationally, governments are increasing indirect support for business R&D, particularly by the way of tax incentives. For instance, by 2011 almost 80 per cent of OECD countries had some form of R&D tax incentive in place. Hence, in a globally mobile business world, R&D investment is considered to be a key factor in enhancing skills, jobs and economic growth. Governments around the globe have and continue to increasingly recognise the attraction of tax benefits to encourage companies to invest in high-value, knowledge intensive industries and technologies. In light of this, the Organisation for Economic Cooperation and Development (OECD) issued a report in 2014 which provided an overview on several of the available research and development (R&D) tax incentive schemes for OECD countries and selected economies. As noted in the OECD data, R&D incentives are continuing to evolve at a rapid pace. Many countries are introducing or reforming their R&D incentives; some are making their incentives more generous while others are targeting their funds more closely. Australia, Canada, France, Korea, the Netherlands and Portugal grant more generous treatment to small and medium enterprises (SMEs) than to large firms. In 2013, 27 OECD countries gave preferential tax treatment to business R&D expenditures. Korea, the Russian Federation and France provided the most combined support for business R&D as a percentage of GDP, while the United States provided the largest volumes of tax support in absolute terms, followed by China and France. In relative terms, the largest amount of R&D tax support was provided by the Netherlands – 87% as percentage of total government support – and Australia and Canada with approximately 85%. 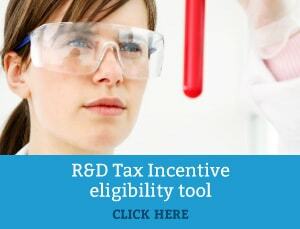 In addition, Australia’s R&D Tax Cash Benefit Tops OECD Comparison – with Australia topping the globe for loss making entities with the 43.5 per cent cash back benefit. Ultimately, the data reveals that the Australian R&D program is adequate in its current form. However, in the context of an increasingly competitive and mobile R&D environment, it is vital that the government adapts to remain efficient and valuable on a global scale. In light of this, the National Innovation and Science Agenda announced last year that the R&D Tax Incentive programme would be reviewed. As mentioned in our previous post, the review is currently in place and is expected to be reviewed by the government in April 2016. Interested parties can also submit their input on the review of the R&D Tax Incentive before February 29th 2016. In the meantime, one advantage of so many R&D tax incentives globally is the wealth of information available regarding different types of tax incentives and what might be considered best process. It is important to note though that any changes to the program will need to be well informed and precisely executed. The best practice is not always feasible, and thus, the Australian government must consider what mechanisms will deliver the best returns. Swanson Reed is a specialist R&D Tax firm with a broad range of experience assisting a vast range of industries. Contact us today to learn more about the R&D Tax Incentive .